Nadra found yoga in 2007 when she realized the importance this practice can have on each of us individually, not just physically, but mentally and emotionally -and how it can have a profound effect on how we treat each other, impacting society as a whole. Yoga's healing qualities are not just for a few, but are for everyone regardless of age or physical ability. Our breath is what connects us to our bodies and brings us home to our center where we can more fully experience joy, love and peace in our lives. Nadra believes that when our breath is in harmony with our body and mind, anything is possible. Nadra's love of the practice and realization of how it has affected her own life has led her to become a teacher so that she can share what she has learned. She is passionate about inspiring others to explore their own path with creativity and freedom. Nadra is a certified yoga instructor with Into This World Yoga with over 300 hours of intensive training. She holds the first of 3 Reiki certificates and is registered with the Yoga Alliance as an E-RYT (Experienced Yoga Teacher) with over 1300 hours of teaching experience. She continues to study and deepen her own practice to bring more to her students. Her own practice has included Ashtanga, Iyengar and various other styles. She has also participated in advanced workshops with Ana Forrest and Mark Stephens. Her teacher training was also deeply influenced by the teachings of Kripalu, known for it's inward focus as an approach to healing and awakening. All of which has led her to develop her own style, which she calls Lion Heart Yoga. The Lion, representing strength and flexibility, the more physical side of yoga, and the Heart, representing the more spiritual, mindful and philosophical side. She is truly grateful to be given the opportunity to share this enlightening, transformative practice. 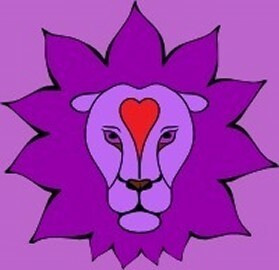 Lion Heart Yoga -Nadra’s class focuses on making the body-mind-spirit connection through the moving flow of vinyasa and postures to build strength and flexibility. Breath-work, or pranayama is also incorporated to calm the nervous system allowing life force energy to feed the cells of our body while also helping us to achieve mental peace and clarity. What makes the Lion Heart Yoga class a true yoga experience is the emphasis on the mental “letting go” allowing us to not only transform our bodies, but also our minds, shifting our spirit and entire being into a place of openness and freedom. Beginner - is a slower paced class that focuses on the foundations of yoga. This class is excellent for beginners but is also suited for those seeking to get back to the basics or for those seeking a compliment to a more rigorous practice. Beginner - Level 1 - is also suited for beginners as described above, with the added option to take it a little bit farther. Level 1-2 -is suitable for beginners and level 1 students ready for more challenge, as well as more experienced practitioners. Multi-Level -This class moves at a faster pace and is suitable for levels 1 through 3. This class also incorporates hand balances and inversions, however you do not need to know how to do these postures to attend the class, just a desire to learn them in a safe and fun environment! Whitney hopes to inspire people to pursue yoga as a way to live life with more peace and joy. She is passionate about “why” a person practices yoga working with asana, pranayama and meditation as exploratory tools. She hopes to impart a sense of curiosity that encourages the student to want to learn more. Whitney traveled to both India and Nepal in search of a deeper understanding of ancient practices and recently bought a harmonium in order to continue learning something new. She believes our greatest teacher is our own life, and our ability to keep expanding it promotes healthy aging. Whitney completed her 500 hr. 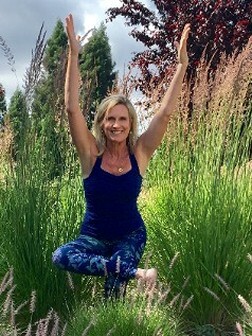 Yoga Alliance Certification through Jennifer Prugh’s Joy of Yoga Teacher Training in Los Gatos, CA. In addition, she has studied with Richard Rosen, Tias Little, Desiree Rumbaugh, Srivatsa Ramaswami, Mark Singleton, Jules Mitchell, Ram Dass, Sharon Salzberg, Jack Kornfeld and more. She recently moved full-time to Kenwood, CA. She was a Santa Clara County Certified Master Gardener and was also a Board Member of the Bonnie Addario Lung Cancer Foundation. Whitney strongly believes that each breath we take is something to cherish.